Stephen Millard - "Black Window"
Steven Millard is a Californian experimental music artist who likes his music dark! 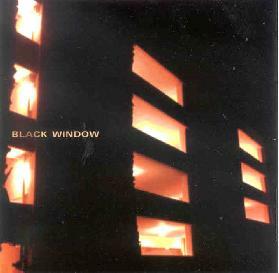 The CD features 6 dark mood tracks, the first called "In Nothing Loss". It is a dark droning track with a female voice way way down in the subway tunnel, as it sounds. Lovely Cracked Vase is also very dark but the beginning has a feel of less heavy weight or burden on the listener as it floats over the stereo. Sometimes it is difficult to figure out the instrumentation used. These first two tracks you could have done all with guitars but I am guessing some synthesizers are used as well. Tabla Rasa the piano opens the piece and I found this track a bit boring. Peeling Skin is back to a more eerie drone and mysterious feeling tone. This track is very much akin to the opening number. Through Suffocation is next and is the first track to have an actual repetitive beat in the background as the dark electronics are layered on the top. Quite cool. Awake from Nothing closes the CD with another atmospheric drone. Don’t listen to this music late at night alone in dark places. It could be dangerous to your psyche! Millard has a great web page but it is very new and there were virtually no posts, reviews, anything. Nice site with lots of unreleased music to download as well, if you like what you hear from me. For more information you can visit the Angry Vegan Records web site at: http://AngryVeganRecords.com. Contact via snail mail c/o Angry Vegan Records; PO Box 1653; Ventura, CA 93002.